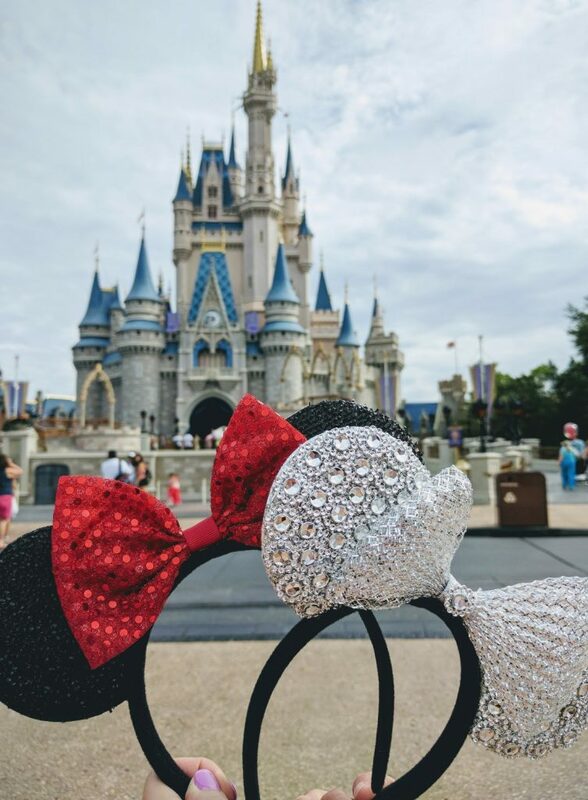 Disney World has four theme parks, two water parks, a shopping and dining area (Disney Springs) and numerous resorts which all have places for you to eat. 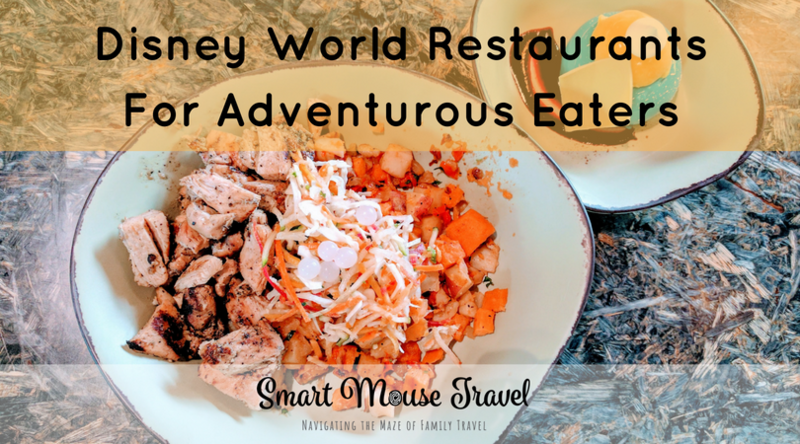 No wonder finding the right restaurant can be a challenge for people visiting Disney World! 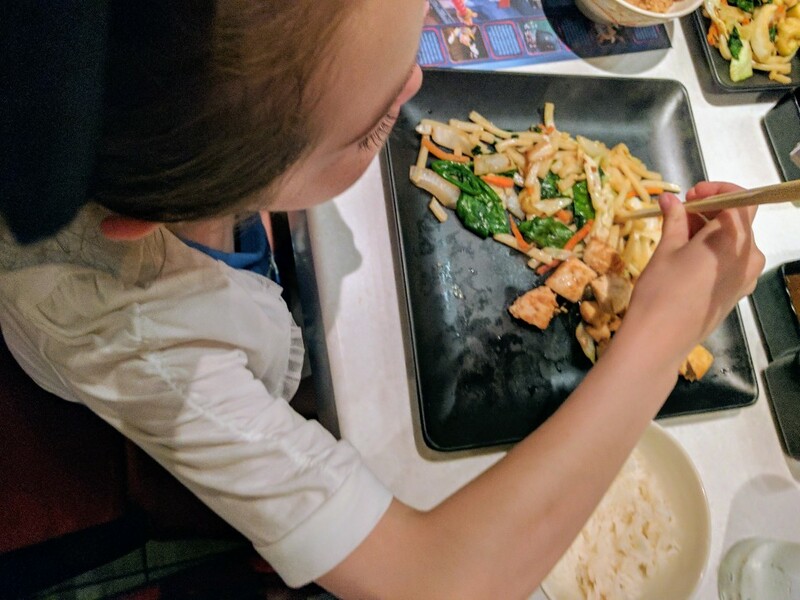 My daughter struggles to find meals at restaurants that have the usual kids’ menu items (hot dogs, pizza, and chicken tenders) due to a food allergy. 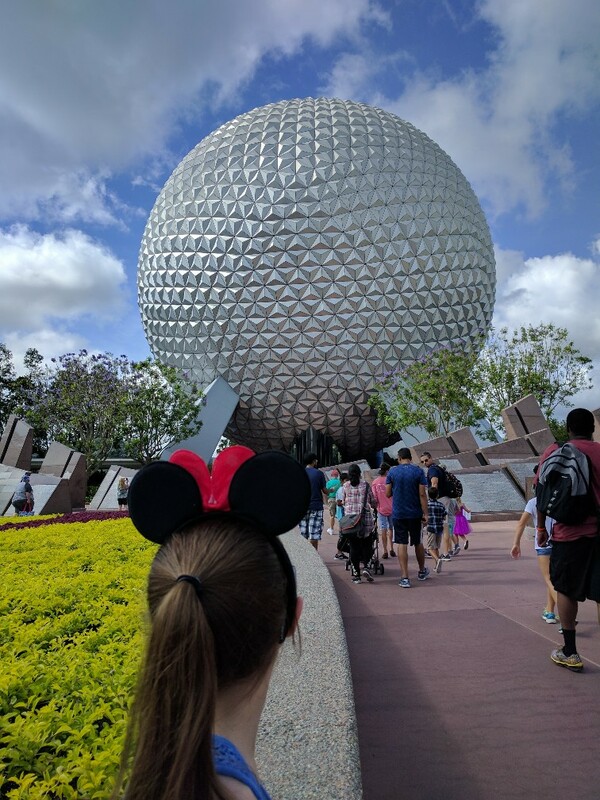 After many trips to Disney World and hours scouring kids’ menus for something different I present to you my list of “Best Disney World Restaurants For Adventurous Eaters”. Don’t worry if you have a variety of palates in your family! Many of these restaurants will also have some traditional kid menu choices. This way there is something for everyone if one child is picky and the other adventurous when it comes to dining. I am only including restaurants we have personally tried and liked or have a trusted source which I note in the review. I am including our opinions on meal quality (excellent, good, or fair) for each restaurant, but know that we are not trained food critics. Please note that menus are always subject to change. I have included direct links to Disney’s website so you can check each menu prior to making your Advanced Dining Reservations. 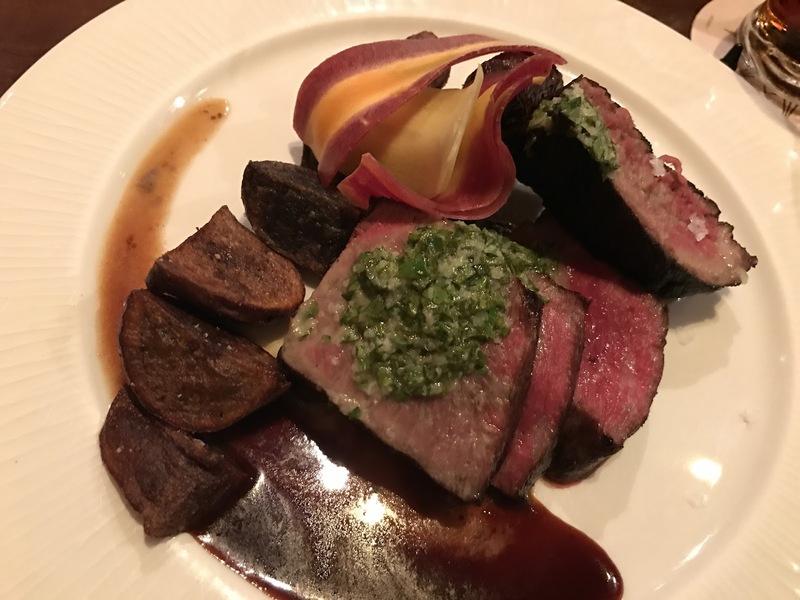 Make sure you also review my 5 minute guide to Advanced Dining Reservations to help you understand the reservation process. 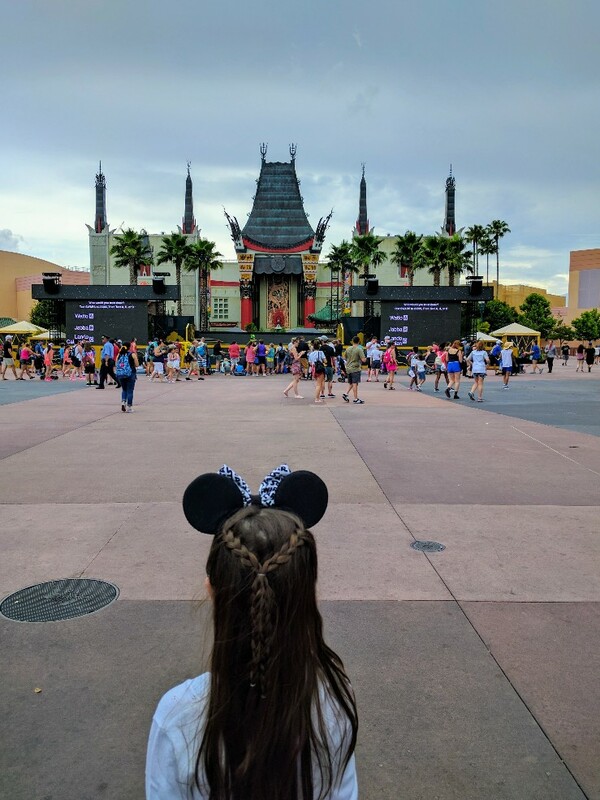 If character meals are more your thing I have a complete guide to character meals at Disney World, too. 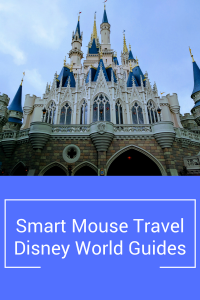 Check here for all my Disney World planning articles to make the most of your trip. Although Magic Kingdom has a lot of fast food options you can find other foods to eat in the park. We eat at Be Our Guest for lunch every opportunity we can. The quality to price ratio is best during lunch so that is my preferred Advanced Dining Reservation. We have also eaten dinner at Be Our Guest. While it is still better than some of the other choices in the park it is a bit pricey for what you get at dinner (in my humble opinion). Breakfast and lunch operate as a modified quick service restaurant. Instead of ordering at a counter you place your order at a computer kiosk. Does someone in your group have food allergies? No problem. They can help with that. Find out more about dealing with food allergies at Disney. Once you have completed your order you will choose a seat in one of the three dining rooms: The West Wing, The Grand Ballroom or (our favorite) The Castle Gallery. After a short wait your food will magically appear at your table. Voila! Can you believe this amazing lunch? Be Our Guest dinner operates like a traditional table service meal where you are seated by staff and waitstaff take your order. Dinner is okay, but lunch is our pick for the best value at Be Our Guest. Advanced Dining Reservation Recommended: Yes. This is one of the most popular reservations in all of Disney World so try to book right when the reservation window opens (180 days in advance). Characters: Yes. The Beast is available for pictures during dinner. Location: Beast’s Castle located in Fantasyland. This restaurant located inside the iconic Cinderella’s Castle is extremely popular with princess fans. 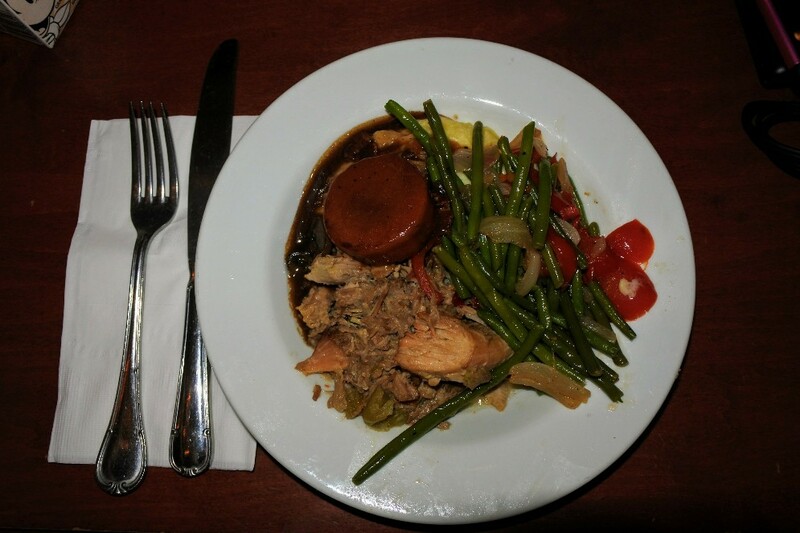 The menu has a great variety of dishes available for kids and adults. Please note the menu seems to change frequently. Characters: Yes. Always Cinderella, and often Aurora, Jasmine, Ariel and Snow White. Please note specific characters are not guaranteed at each meal, but these characters are ones we have observed over our many meals here. Location: Cinderella’s Castle located at the end of Main Street. You access Cinderella’s Royal Table by walking around to the back of the castle (which faces Prince Charming’s Regal Carousel). This newer table service restaurant in Adventureland is a great addition to Magic Kingdom and one of our favorite places to eat. Although one of the toughest restaurant names to remember, the decor is cute, the food is consistently fantastic, and they serve wine! Location: Jungle Navigation Co. Ltd. Skipper Canteen is found just past Sunshine Tree Terrace and across from Swiss Family Treehouse in Adventureland. This table service restaurant looks like an old inn. Rustic decor and traditional American food is found in this cozy spot. Pot roast, roast turkey and mashed potatoes are some of the foods you can expect on the menu here. Advanced Dining Reservation Recommended: Yes. Although not as popular as other Magic Kingdom restaurants this one generally fills up. During a busy time we heard them turn away people who wanted to wait for a table. Location: Liberty Tree Tavern is located in Liberty Square. 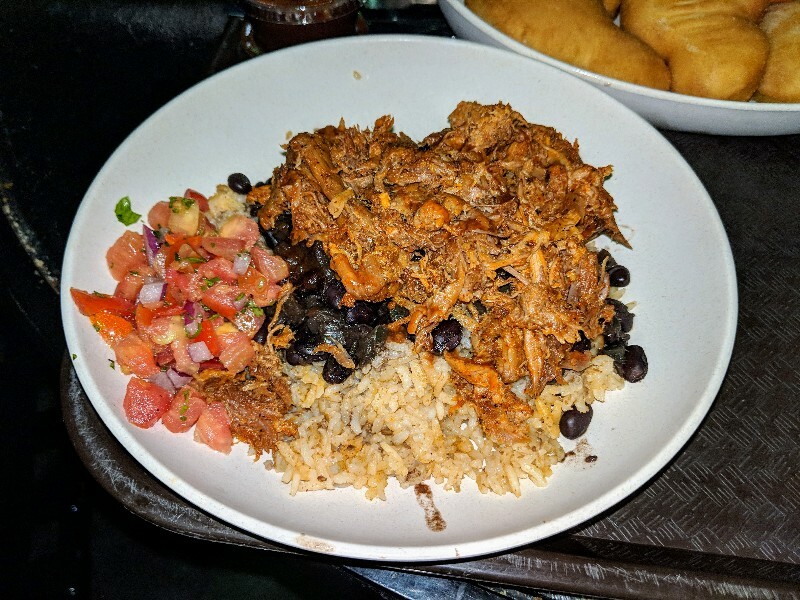 With the World Showcase highlighting cuisine from around the globe and Future World focused on sustainability it’s no surprise that Epcot has lots of great choices. Akershus is a table service restaurant that provides a sit down meal with an appetizer buffet. 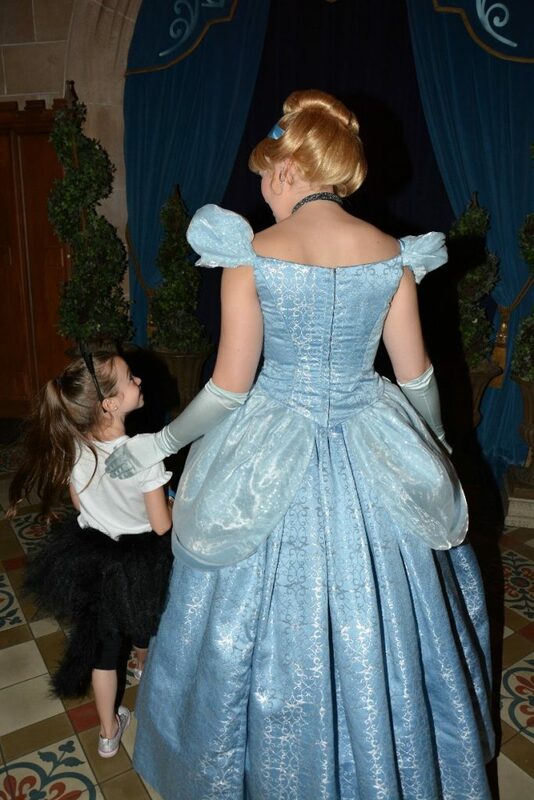 During your meal princesses will stop by and meet with your little prince or princesses. The adult menu has Norwegian inspired dishes. The kids menu contains some nice options like grilled chicken, salmon, or beef tenderloin. Read my full Akershus review here. Advanced Dining Reservation Recommended: Yes. Princesses mean reservations are crucial. Characters: Yes. Belle is the welcoming princess. Other princesses that are often seen during your meal are Snow White, Cinderella, Princess Aurora, and Ariel. Please note that character appearances are always subject to change. Location: Akershus is located in the Norway Pavilion of Epcot’s World Showcase. This buffet meal full of delicious German food will have a little of everything for you and the kids. We love the pork schnitzel, spatzle, sausages and various salads. A German band plays a lively set during your meal which is a lot of fun for everyone. Please note: If you have a smaller group you may be seated with other parties. This gives you a chance to make new friends! 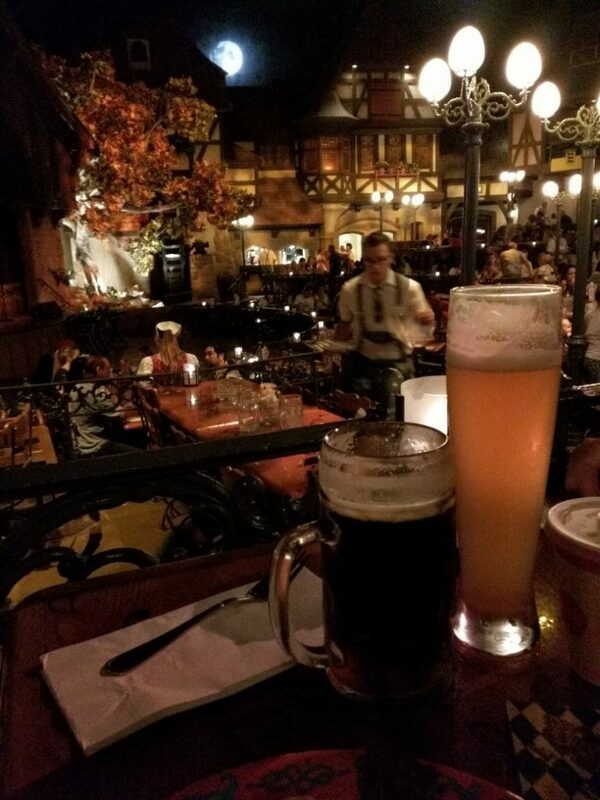 Location: Biergarten is located in the German Pavilion of Epcot’s World Showcase. This hidden gem was a recent find for us. We were looking for something a little different for a late dinner at Epcot. The detail in the decor was amazing and a belly dancer performs periodically most nights to add to the atmosphere. The food is amazing and this is Elizabeth’s favorite restaurant in all of Epcot! Advanced Dining Reservation Recommended: Yes, although this seems to be an easier reservation to obtain. Location: Restaurant Marrakesh is located in the very back of the Morocco Pavilion of Epcot’s World Showcase. Teppan Edo restaurant is where a chef cooks on a hot grill in front of you Teppan-yaki-style (sometimes also called Hibachi style). This means in addition to a great meal you get entertainment at your table! The staff will even make beginner chopsticks for the kids (and adults) to practice their skills. Please note the tables are set up for 8 guests around the grill so you may have to share with another party. Location: Teppan Edo is located in the Japan Pavilion of Epcot’s World Showcase. Tucked in the back of the Italy pavilion is this delicious restaurant known for its wood fired pizzas. 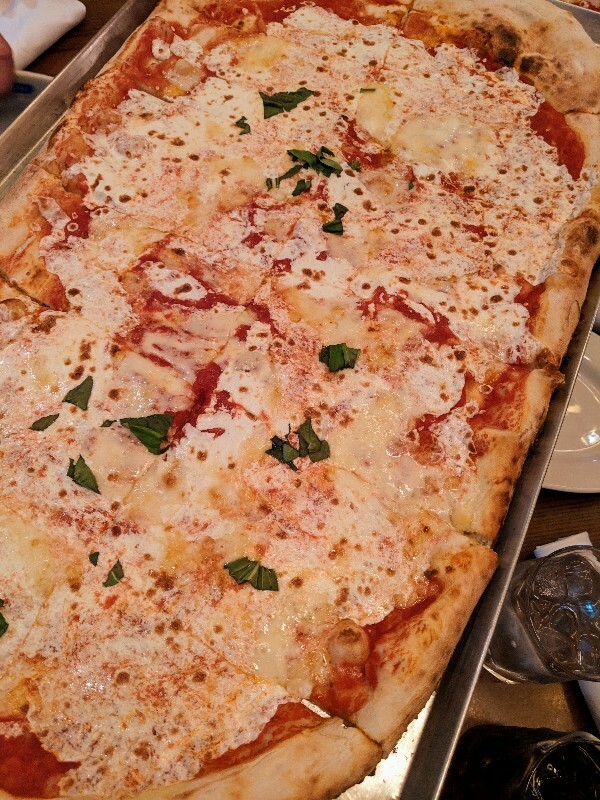 These traditional pizzas are made with flour imported from Southern Italy and water sourced from a spring with mineral content like the water found in Italy’s Campania region. The pizza is delicious, but the menu has lots of other options, too. In fact, Elizabeth always opts for Petto di Pollo at Via Napoli. This dish is a tender, flavorful chicken breast served with cauliflower, roasted potatoes, and pesto. Location: Via Napoli is located in the Italy Pavilion of Epcot’s World Showcase. Although we love all the Star Wars activities at Hollywood Studios it is my least favorite park to find dining. We have two places we really enjoy: 50’s Prime Time Cafe and Sci-Fi Dine-In Theater. However, Sci-Fi is all about the sitting in a car booth and watching old sci-fi while you eat your typical fast food so it won’t make the cut for this list. We love, love, love this place. Be prepared to be hassled by your waitstaff for things such as having your elbows on the table, using mobile phones or just about anything. You will be eating at classic Formica and aluminum tables. If you are lucky you may have a TV nearby to watch old black and white shows and commercials. Location: 50’s Prime Time Cafe is located near Hollywood Boulevard and Echo Lake. Inspired by Asia and Africa you can find a variety of atypical food options at Animal Kingdom. Decorated in carved wood and bright colors Yak & Yeti offers Asian and Indian inspired dishes. We loved the ambiance of the restaurant and we ate every morsel on our plates. 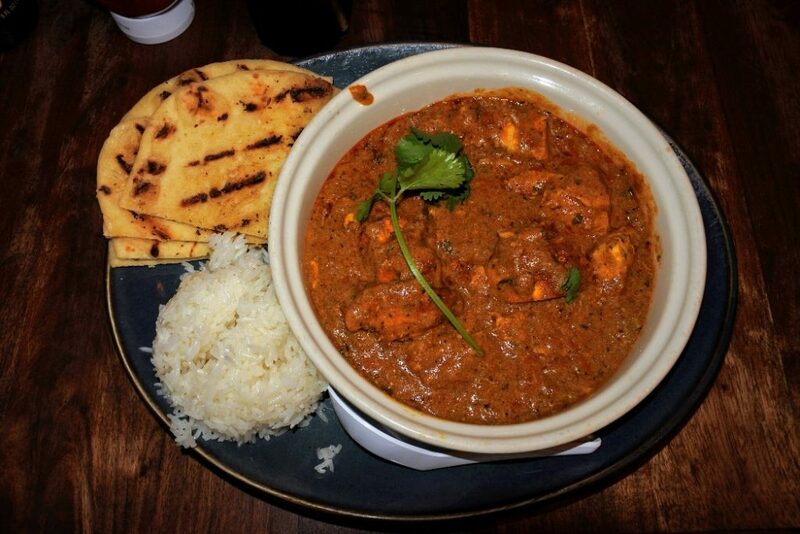 The Chicken Tikka Masala is so good! Location: Yak & Yeti is found just past the bridge connecting Discovery Island to Asia. Satu’li Canteen is a quick service restaurant located in Pandora. Many of the entrees for kids and adults are bowls of grilled meat (or fried tofu) with your choice of base. I admit I tried Satu’li Canteen because it was new and Pandora had just opened. To our surprise we all loved our meal (and the dessert, too). Satu’li Canteen has become an Animal Kingdom quick service favorite for us. Advanced Dining Reservation Recommended: No, this is a quick service spot. Location: Satu’li Canteen is found in Pandora at Animal Kingdom. 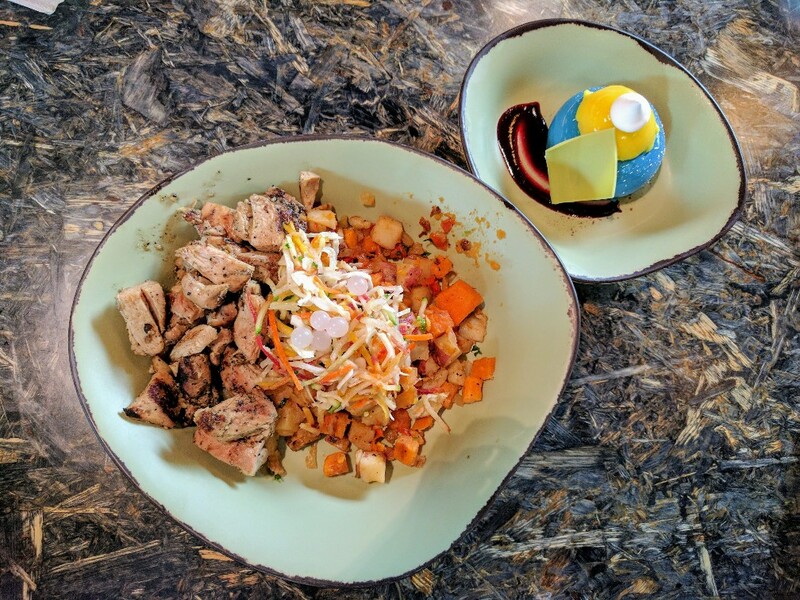 Tiffins is a signature table service restaurant located on Discovery Island, before the bridge to Pandora. The menu is modeled after the spirit of exploration that inspired Animal Kingdom. The entrees include items like Whole Fried Sustainable Fish, Wagyu Striploin and House-smoked Brisket, and Duo of Lamb. 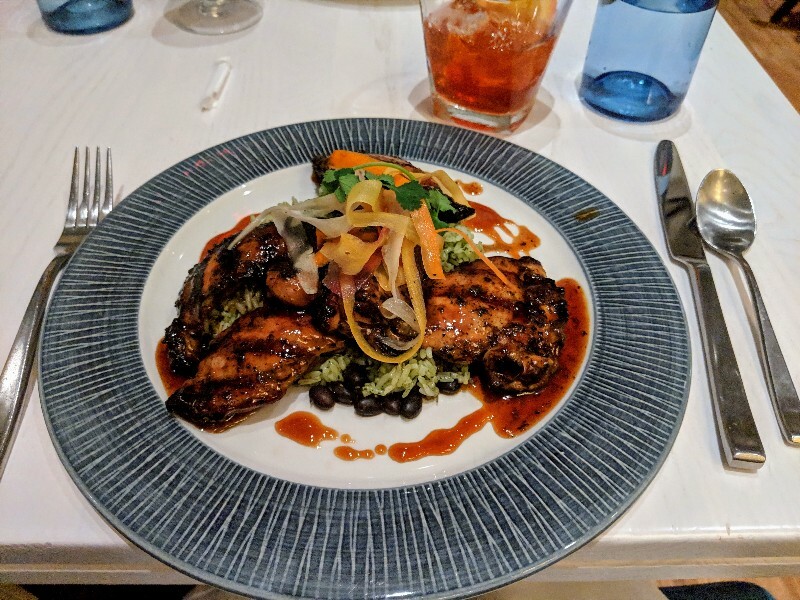 We tried Tiffins because it was a fairly easy table service reservation to get and loved finding meals from all over the world on the menu. Please note: This review is courtesy of Moment Mom. You can read the full Moment Mom Tiffins review here. Advanced Dining Reservation Recommended: Yes, this is a table service restaurant. This quick service restaurant is best known for their amazing fresh beignets which you should absolutely order. However, Sassagoula Floatworks and Food Factory also has some unique food options. 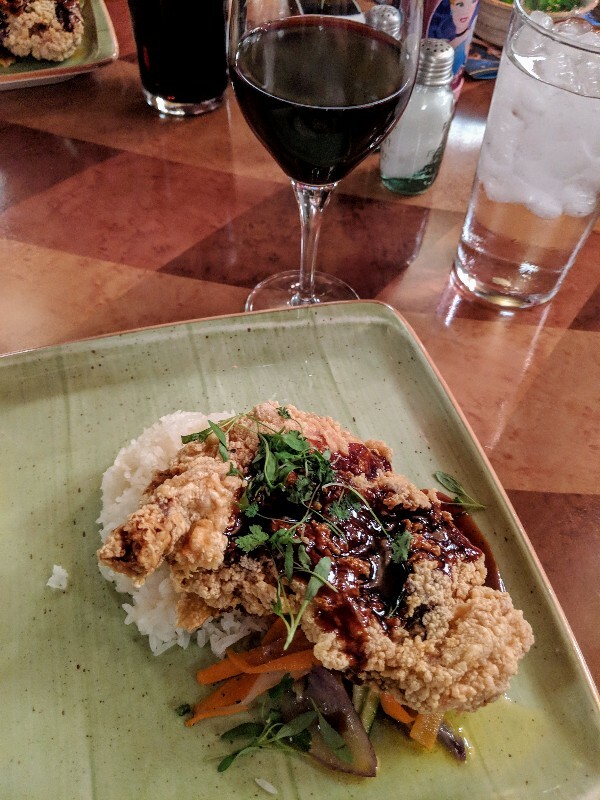 There are tons of southern inspired dishes, but our favorite was the Create-Your-Own Signature Rice Bowl. Elizabeth opted for shrimp and I got the pulled pork. Both were delicious and a huge portion. We could have probably shared one bowl since we needed to leave room for our beignets. Advanced Dining Reservation Recommended: No, this is a quick service restaurant. Location: Sassagoula Floatworks and Food Factory is located in the lobby of Port Orleans French Quarter Resort. Sebastian’s Bistro has an island and Latin inspired menu with a variety of options for kids and adults. The jerk chicken and sustainable fish entrees were delicious. My daughter also loved her slow cooked pork shoulder with rice and beans from the kids menu. Not a bite went to waste at this new table service restaurant at Caribbean Beach Resort. Location: Sebastian’s Bistro is located at Disney’s Caribbean Beach Resort. This super popular restaurant serves up a character breakfast with Lilo and Stitch and a family style Hawaiian feast for dinner. In addition to your delicious meal there are music and games going on around the restaurant. Advanced Dining Reservation Recommended: Yes. ‘Ohana is a popular restaurant so book early. Characters: Yes, breakfast with Lilo and Stitch. No characters at dinner. Location: ‘Ohana is located within Disney’s Polynesian Resort. This restaurant is found overlooking the lobby of Disney’s Wilderness Resort. 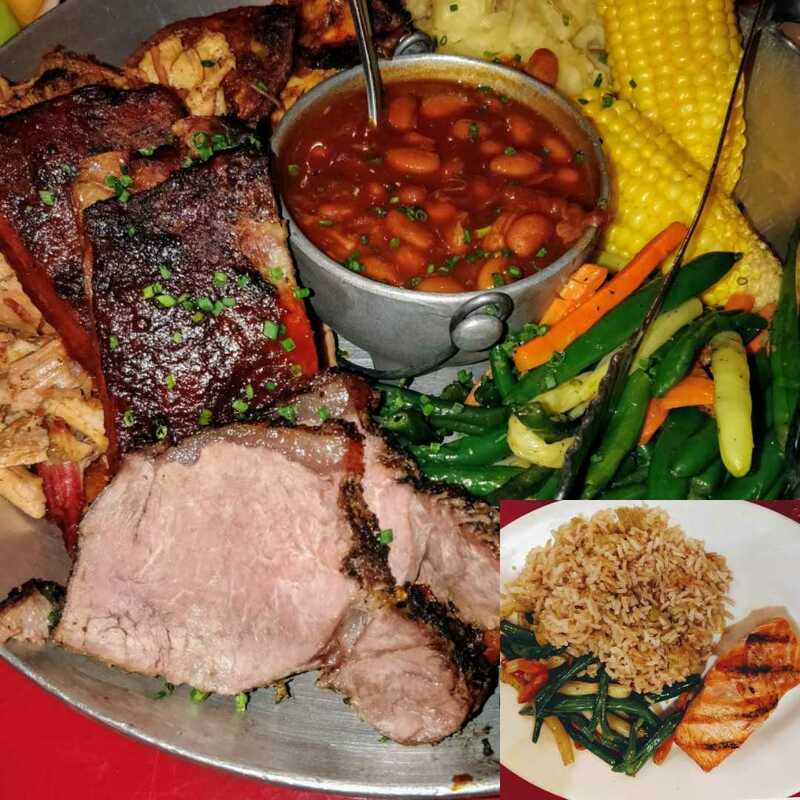 Whispering Canyon Cafe serves up delicious barbecue and all the usual fixings. There are also several options for kids including a grilled fish of the day. Expect to be hassled by the staff here (similar to 50’s Prime Time). In fact, when I took a picture of my cute jar water glass a server halfway across the restaurant made fun of me. And our server threw our napkins and straws at us. Location: Whispering Canyon Cafe is found in the lobby of Disney’s Wilderness Lodge. 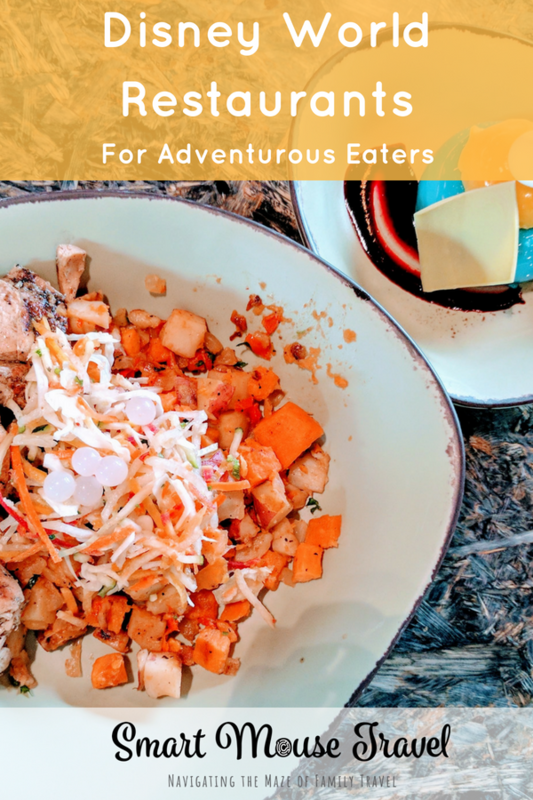 This list has distilled 5 years and countless hours of menu research into one (hopefully) helpful article about the best Disney World restaurants for adventurous eaters. I would love to hear what places you love on this list and also places to try in the future! 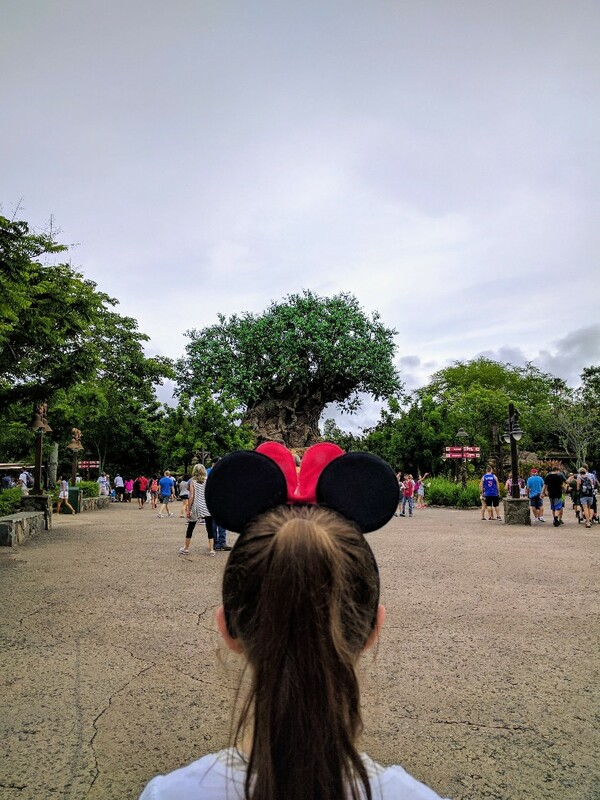 As we continue our Disney obsession this list of kid-approved Disney World restaurants for families with adventurous eaters will continue to be updated. Most of times I prefer to buy a sandwich and keep walking. But, when you have kids it’s really good to have tips like those. Thank you! We are trying to decide between Akershus and Biegarten and we’re in a stale mate. I’m leaning towards Biegarten now. This is great and very helpful! Thank you! Both Biergarten and Akershus are fun, but in different ways! I hope you have a great time. Love so many of these restaurants! I would add Tiffins to the list for adventurous eaters! 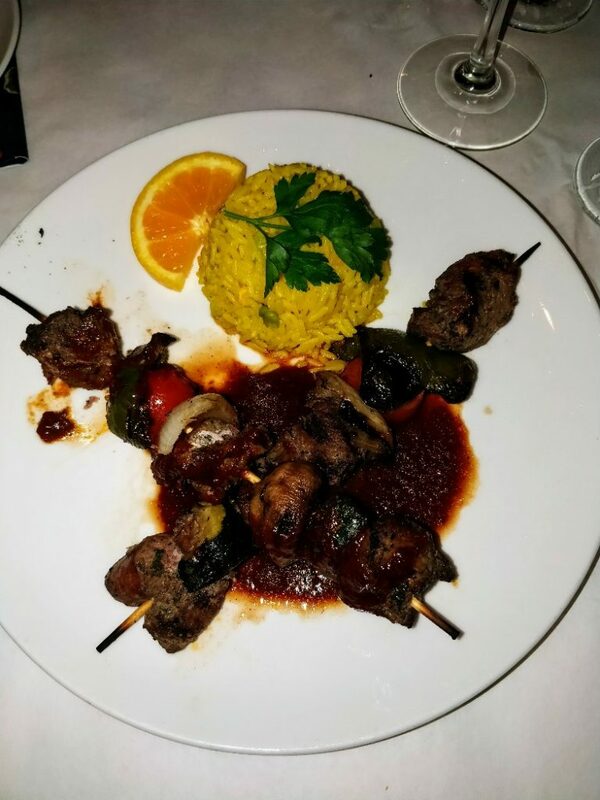 We loved it on our last visit, and it had great options like octopus, lamb three ways, and fried whole fish for the adventurous eaters! We haven’t been yet, but that does sound perfect to add to the list! Thank you for the recommendation.